This article will show you how to delete your Mixlr account. TIP: if you have an active subscription you will need to cancel this first. Please see this article for how to cancel your subscription. Deleting your account will permanently remove your account information including any saved showreel content, so ensure that you have downloaded any recordings that you may need before deleting your account. 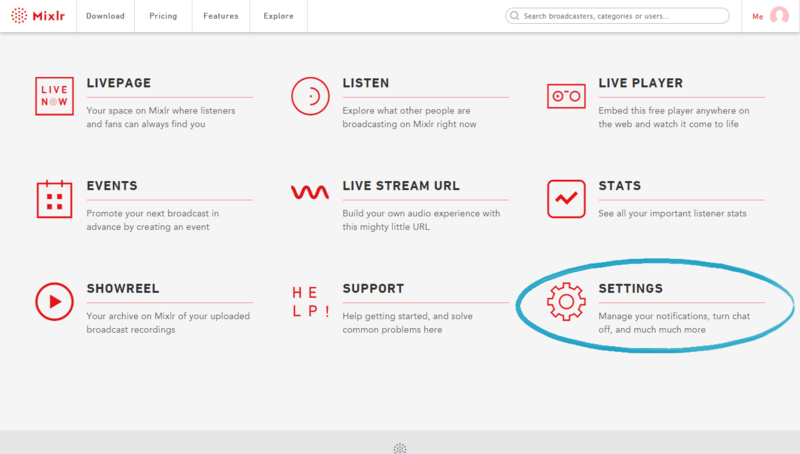 Log in to your Mixlr account and go to the Settings page. 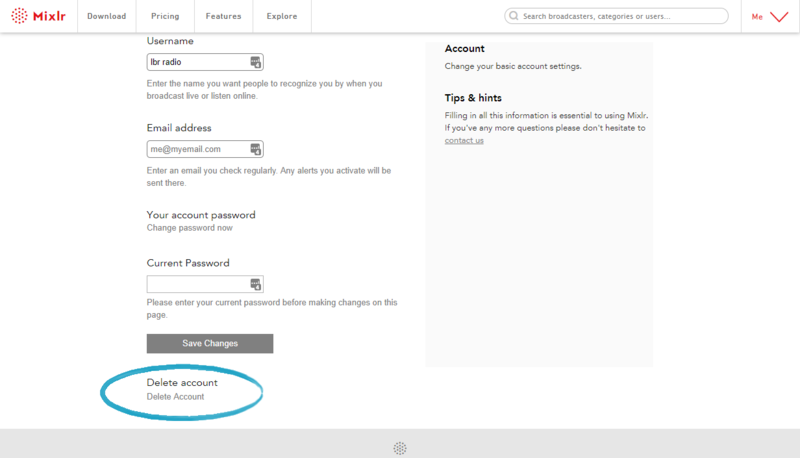 TIP: you can navigate directly to your Account Settings page by clicking on this link. Scroll down your Account Settings page until you find the 'Delete Account' link (under the 'Delete account' heading). 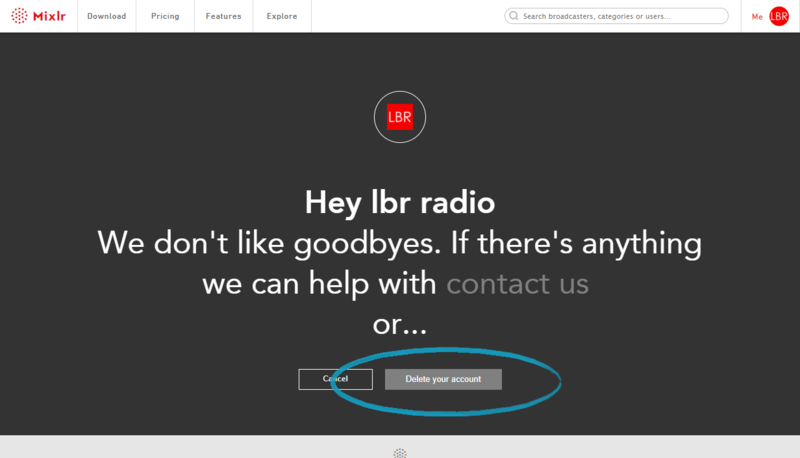 Click here to delete your Mixlr account. You will now be asked to confirm that you want to delete your account. If you've changed your mind you cancel, and you can also contact us from this screen. Otherwise, click the 'Delete your account' button to confirm deletion. TIP: if you are currently broadcasting you will need to stop your broadcast before deleting your account. If you have an active subscription you will need to cancel this first. Please see this article for how to cancel your subscription.